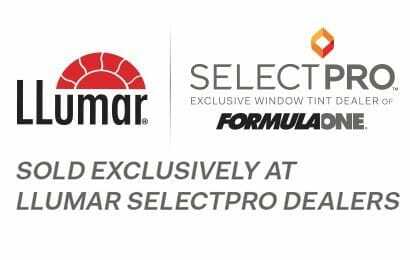 Glass Tint USA was recently named as one of the few Llumar Select Pro dealers in the country, a certification that is awarded to fewer than 10% of window tint dealers who carry the exclusive FormulaOne and Vista brands worldwide. The Select Pro Status is a huge accomplishment for Glass Tint USA. This recognition establishes Glass Tint USA as one of the top companies in the industry. Founded in 1991 by Steve and Rene Jager, Glass Tint USA has become the leader in window tinting in Springfield, MO and the surrounding Ozarks area. Glass Tint USA provides expert window tinting services for automotive, marine, residential, and commercial applications. Glass Tint USA is located in the Springfield, MO metro area, but services all southwest Missouri and northern Arkansas residential and commercial locations. Each of the company’s installers have years of experience and have been trained on the quality standards that customers have come to expect from Glass Tint USA. All of the window film products used at Glass Tint USA are made in America, and the company is a member of IWFA, Window Film Pros, and ASID.